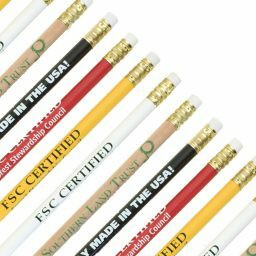 Our Custom Teacher Pencils are the ideal choice for the classroom. Their red and white color theme makes them popular with boys and girls alike, while teachers are sure to appreciate their practicality and high level of utility. 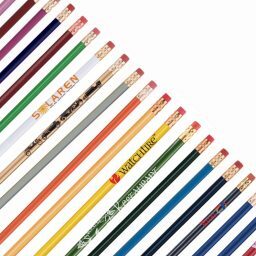 Our Custom Teacher Pencils are the ideal choice for the classroom. 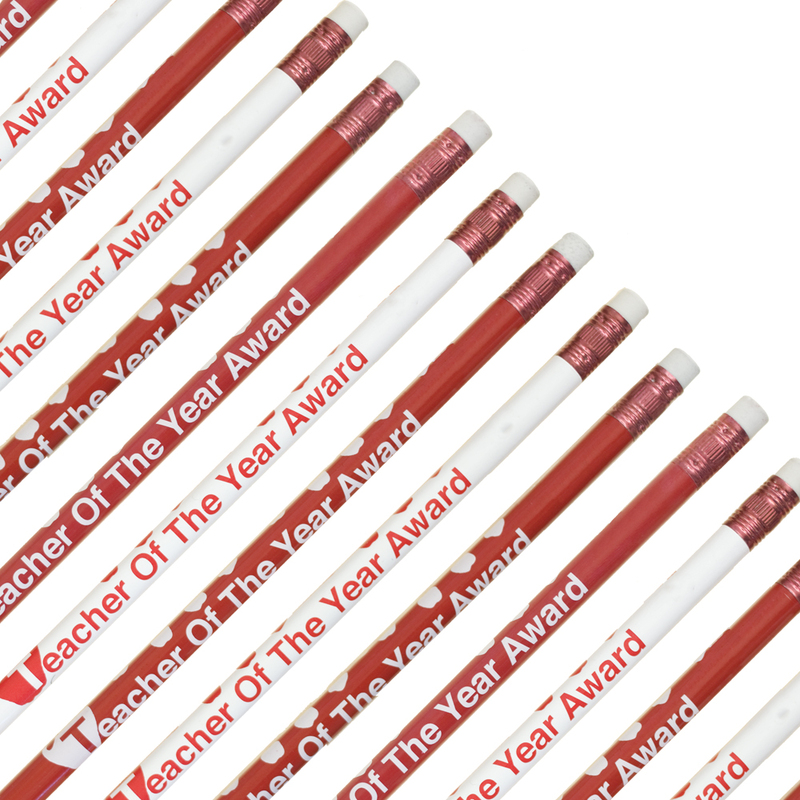 Their red and white color theme makes them popular with boys and girls alike, while teachers are sure to appreciate their practicality and high level of utility. 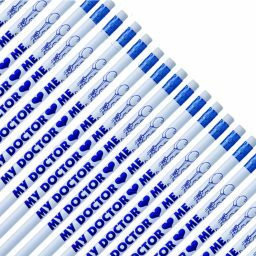 Whether you choose a white or red barrel, your custom imprint is sure to pop! 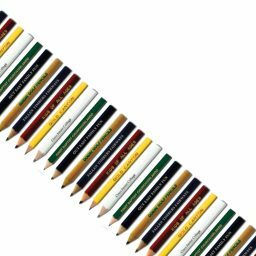 Each pencil is topped with a ruby red ferrule and your choice of white or red eraser. 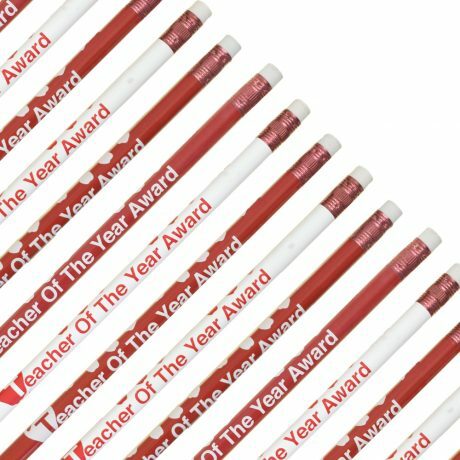 Show a teacher that you appreciate their dedication with a box of â€œTeacher of the Yearâ€ pencils customized with their name. 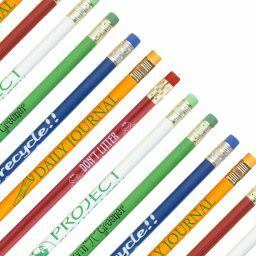 Or, start the school year right by supplying your child’s classroom with an order of apple-printed pencils. 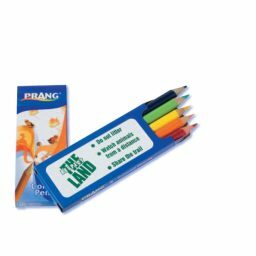 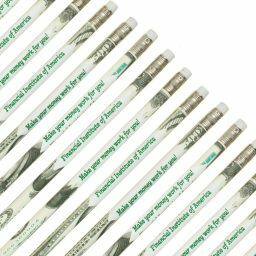 School budgets can be tight and promotional pencils are an economical way to let students know that you care about their education. 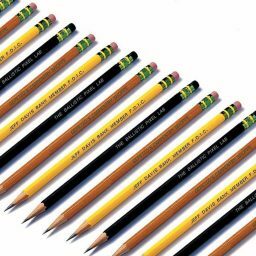 Hand pencils out as rewards for good grades and good behavior.